Hello there! Although I am back home at the moment, for the majority of the summer Tom and I will be spending it in Sheffield, and so we have compiled a 'Jhomas Summer' list (With the title 'Jhomas' yes that is mine and Thomas' name joined together- think Bradgelina). As we'll have quite a bit of free time in August/September, there are quite a few things that we would like to get up to in the city in the summer! I'm hoping if these are not only on paper but on here, we'll actually stick them/you can see us crossing things off the list as we go! In Sheffield in Broomhill, there is a pizza place called 'Nibbles' which really does do the best pizza. I've had it quite a few times with other people, but never with Tom before, and so I think this would be a really nice treat one evening together. You might remember me mentioning Bloo88 a few weeks ago, as went there after our last exam for a celebration lunch! That was the first time I had been there, and I know Tom hasn't ever been there, so I'd really like to go again with him for a meal (and maybe a cocktail or two!). Yes I know we only just went to play mini golf a few weeks ago, but we both really enjoyed it, plus I need a rematch as Tom won! With Sheffield being so close to the Peak District, we really should go and visit it more. We were going to about a month ago, but unfortunately by the time we got the bus (as it was late) we missed the train that we were going to get, and as the next train wasn't for another two hours we called it off. We normally go in a group, so it will be nice for just Tom and I to go out for a walk somewhere (and probably get lost!). Among the many parks in Sheffield, Graves Park is one that has an animal farm within the boundaries. I've heard of people going here and really enjoying it, and as it's just a bus ride away I definitely want to make a trip out there one day! Okay so this is definitely one that we will be doing, as we have the tickets! Tramlines is a music festival that comes to Sheffield at the end of July, and there are events spread out across the city. Now I always liked the idea of a festival, but I knew that I would hate being in a tent that anyone could just come into, so the fact that I can go home to my bed in-between is a massive bonus. If you're interested to see, the full line up is here. Although it's not as big as say, Glastonbury, it'll be a nice step up from Gig in the Park that we used to go to in Halesworth (although it was small we did see Ed Sheeran play live here before he was famous!). The Millennium Gallery in town is a place that I always walk past, whether I'm going to the station, or the cinema, or walking about in town near the Crucible, yet I've never been in. It's free entry too, which leads me to question even more why I haven't been in! I think this will be perfect for one afternoon if the weather isn't very nice, but will get us out of the house for a few hours. Going out for breakfast is one of those things that I always see on films, or on Made in Chelsea, and I just think yes, one day, I will actually get up and get ready and then go out for breakfast. Time-wise it will probably be more brunch than breakfast, but at least we'll have tried! This is another definite thing that is happening. Tom and I are off to Poland for a few days in August to stay in Kraków which we are both looking forward to. Whilst we are there, we will be taking a trip to have a look round Auschwitz, as I think it is necessary to go to places like this, and learn more about the atrocities that took place, to ensure that they don't happen again. As I'm going to (hopefully) complete my dissertation on Holocaust Literature, I know that this experience will prove beneficial for that. We're looking forward to going to Poland as neither of us have ever been to the country before, and so it is sure to be a different experience. Tom and I have booked to go away to Liverpool for a few days at the beginning of September. Neither of us have ever been to Liverpool before, but my parents went last year and really enjoyed it. We haven't really looked to see exactly what we'll be doing yet, but, I do know that we'll be visiting the Central Perk Cafe! It's a replica of the cafe off of Friends, and so we just have to take a visit to it. If you have been reading my blog for a while, you'll know that Gelato Original is not a new place for me. But, like Nibbles, both Tom and I have been, but never together. So, we decided that it was about time we actually went at the same time! We watch quite a bit of TV, and Tom, Luke and I normally have a series going that we are watching, but it's always been that one of us has seen it, and so the other two are watching it for the first time. We watched True Detective (from Luke's recommendation) and now we are going through The Tudors series (my recommendation). When Tom and I watch Homeland we both absolutely loved it, and as neither of us had seen it before, we both liked to contemplate what could happen next. Has anyone got any recommendations of a TV series that you've been loving? 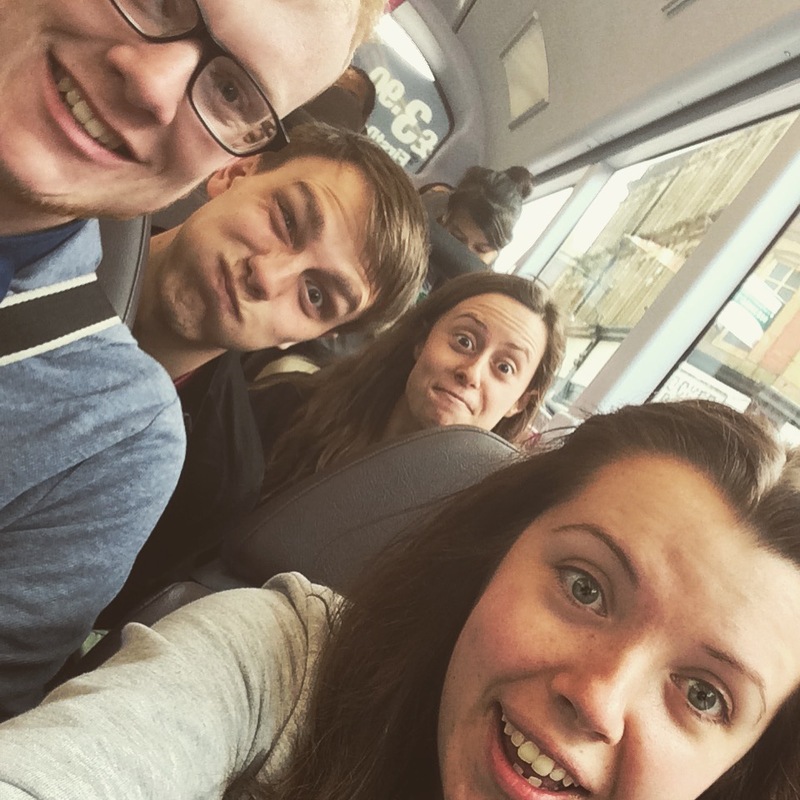 This one we can tick off our list as we took a trip to Meadowhall last week! It's a massive shopping centre which we don't go to often as it's more of a place where we will go every 3-4 months or so, as it really is a day trip out as there's just so many shops to get round! There's a swimming pool on the other side of the centre of the city, that we always go past on the tram. I'm not a massive fan of water, but I'll go swimming on the odd occasion. Tom however, is a MASSIVE water fan and loves all swimming pools/water rides. The Ponds Forge Pool has two slides that come outside and go in again, and so when Tom saw this he said that we needed to add it to our list. Just looking online I can see that a part of it is an international sized pool where you could do lengths, but when we go we would stick to the area where the slide is. From looking at the timetable I can see there are different fun sessions that you can go too- one with floats or one with waves- so we'll just have to decide upon one! When Tom and I first joined the gym, we used to play badminton quite regularly. However it's been months since we last played, and so we really need to go again. As we use the University gym, I think we'll be able to play more regularly, both as we have more time, and that most people will have gone home for the summer. When I went to Fancie on Ecclesall Road last week, it was the first time that I had been through the Botanical Gardens since first year. Last year Tom and I always used to walk through on our way to do our food shop, or we would go there for a walk as it wasn't too far away. However since we moved into our house, it's quite far away to just go for a half an hour walk, but I would really like to go back on a nice sunny day and have a picnic in the grounds like we used to. There's a part of the river that we always go past on the tram, but as it's quite far out we've never actually been down there. There looks as if there are a few little shops/cafes alongside it, and there's always quite a few river boats going along, so it would be nice to finally take a walk there on a nice day! (As this is near the Ponds Forge Pool, we could maybe tie them both in together). Looking on the tripadvisor page for 'Things to do in Sheffield', Ecclesall Woods is on the list and looking at the photos, it looks beautiful. This is quite far to get to by walking from our house, so I definitely think this will be a day where we feel like going out for a hike/going out for the day, rather than just a steady walk that would fill up a couple of hours. You may remember my blogpost from last September about my trip to the Alpaca Farm. We were lucky enough to go in Jade's car, but I know I saw on their twitter a while ago that there is now a bus route that goes past them, so I'll be able to take Tom to see them one day! Tom and I went to York for our anniversary back in February, but for most of the day that we were there it rained! We both really enjoyed our trip away but I'd really like to go back for the day and have a proper walk around the walls, hopefully with an ice cream in hand! I chose this quote as although it encapsulates both our trips away, through going to various parts of Sheffield, we will explore and discover new things about the city that we didn't know before! I think it is safe to say that both mine and Tom's summer will be filled with things to do. Have you got anything nice planned for the summer months? Hello there! It's getting to that time of the month where I round up a few things that I have been loving this month. I'm going to incorporate one or two from May, as I never got around to doing a May Favourites post, as it fell when I was taking my break for exams. There's a few to be getting through, so let's get on with it! 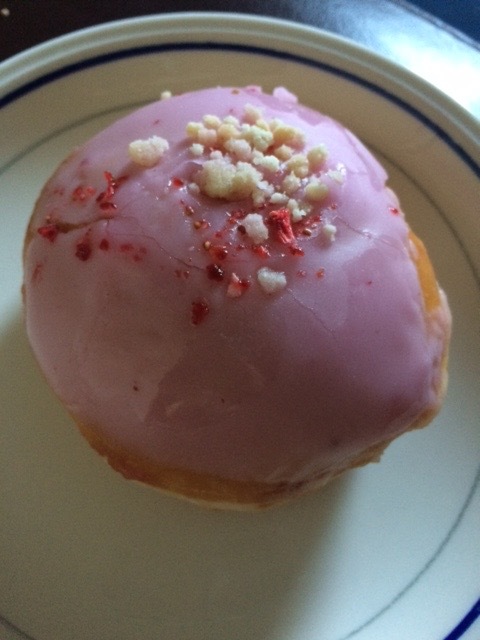 Okay, 'cake' isn't necessarily something that I have only been loving this month, but I realised that I've eaten quite a few lovely desserts this month, and if you missed my 'What have I been up to recently?' post on Sunday, you can have a read of it here as it goes into detail about some of the other lovely desserts that I have been having. 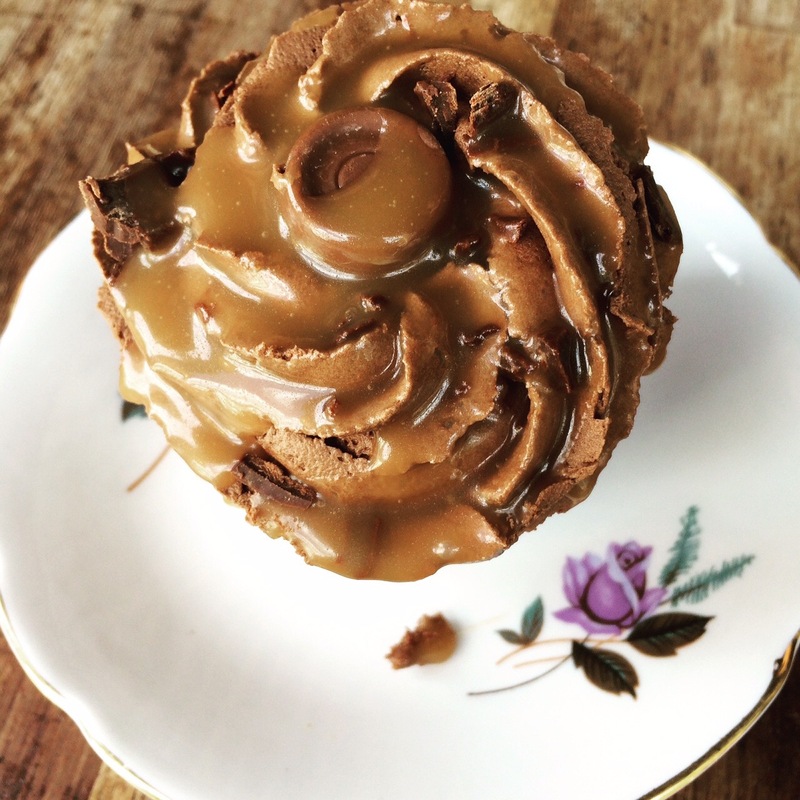 This particular cupcake I had on Monday at 'Fancie' which is on Ecclesfield Road in Sheffield. I'd never been here before, but I was meeting up with a few friends and Phoebe suggested that we come here! This was such a cute little cafe, and I will definitely be returning! With this chocolate cupcake I had a Mango and Passionfruit smoothie which was also amazing! They have savoury food, so I will have to go back for lunch one day and try out some of their other food. You may recognise this radio from my Summer Wishlist post, which a lovely little fairy (my parents) saw, and decided to surprise me with one! I was so surprised to come home to a parcel and open it to find the Roberts Revival Radio in the beach hut print! This was only about a week ago, but I LOVE IT so I had to include it in my favourites. I love being able to just put it on in the background while I do things in my room, and although I do like playing my own music, I like being able to put the radio on to hear new songs/not have to decide what I want to listen to. The sound quality is amazing, and if the last week is anything to go by, I will be getting A LOT of use out of this! 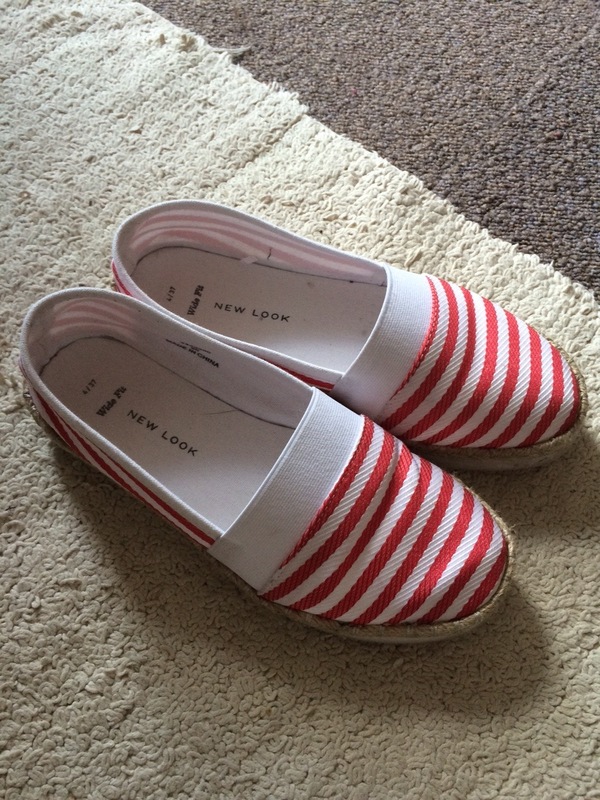 I bought these Espadrilles from New Look a few weeks ago, and oh my, they are so comfy. I've had pairs of Espadrille's from New Look before, and they've always been so comfy, but my current ones were getting a bit worn out so it was time for some new ones. They had a few variants of colour, but I decided to go for the red striped ones, as I felt these were lovely and summery with the bright pop of colour, and that these go with most outfits that I have been wearing. The only downside that I know from past experience is that if you wear these and get a tan, obviously only half of your foot will be tanned! 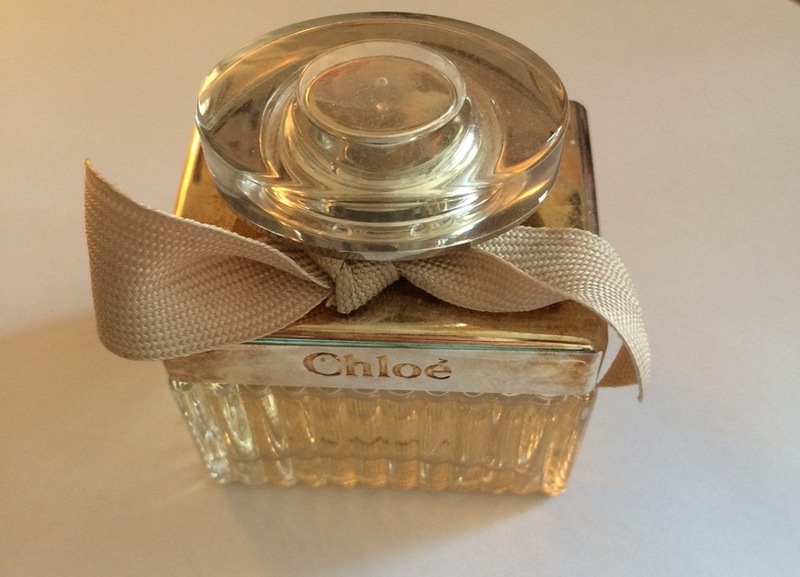 My go to perfume for a while has been the Chloé original perfume. I fell in love with this perfume at the airport on the way to/from Lanzarote last year, and I was lucky enough to receive it as a birthday present last year. I've used this a lot, but you wouldn't really be able to tell through looking at it, so I know that this bottle will last me a long time. You only need a small spray and the smell lasts throughout the day (sometimes I will have been wearing a jumper with it on, and then put this jumper on another day and I can still smell it!). 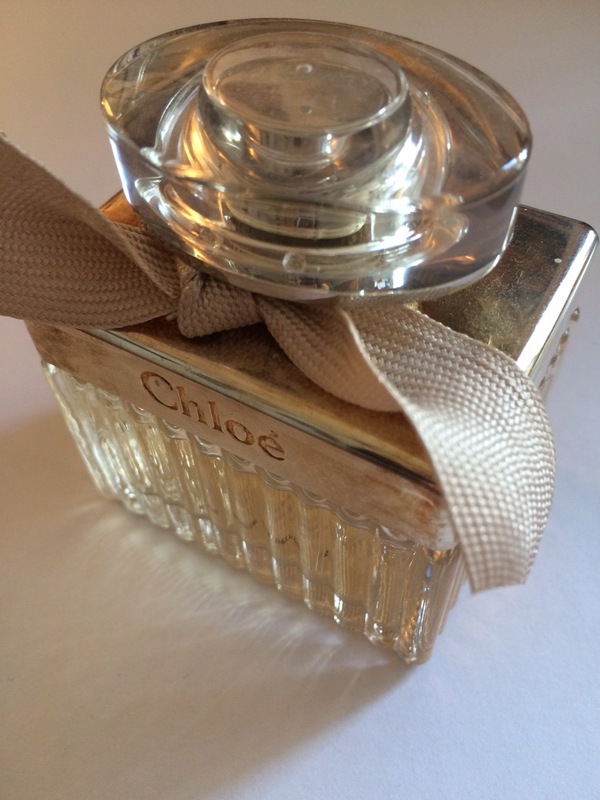 It's a mix of "Warm amber, honey and cedar wood notes, blended with the overpowering aroma of roses" and it's a perfume that I have found can be used both in winter, and into the summer. 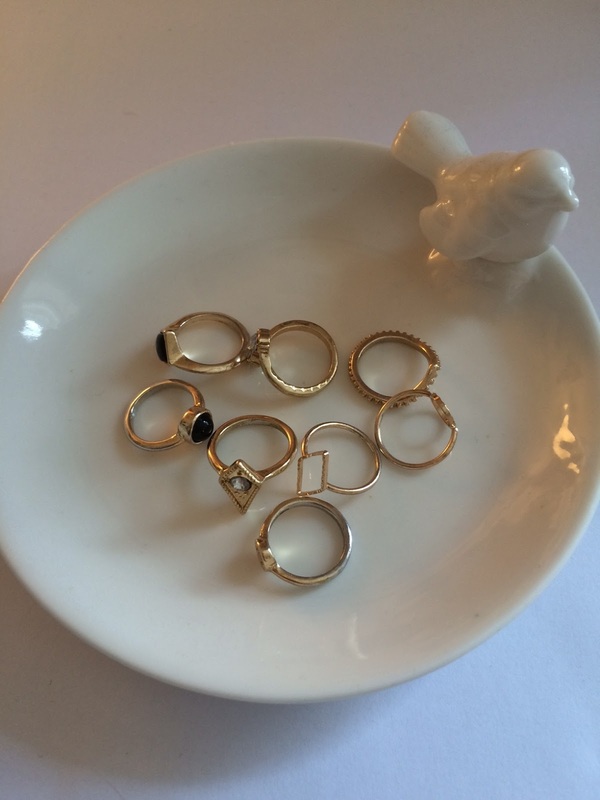 I bought a multipack of rings from Primark a while back, and I've been loving wearing a few, or just one at a time. 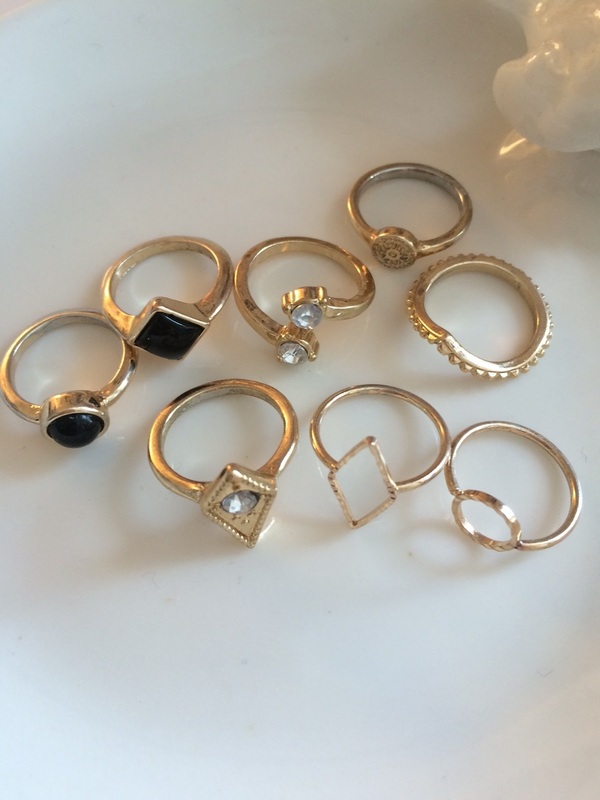 With a mix of normal rings and midi rings, these can be worn both during the day, and at night time. I really like the different shapes and although they're really simple, I think they look really effective together. Okay so I know what you're thinking, this is a strange favourite. But, I found these ever so helpful during revision and essay writing, for memorising quotes, or separating articles for essays. 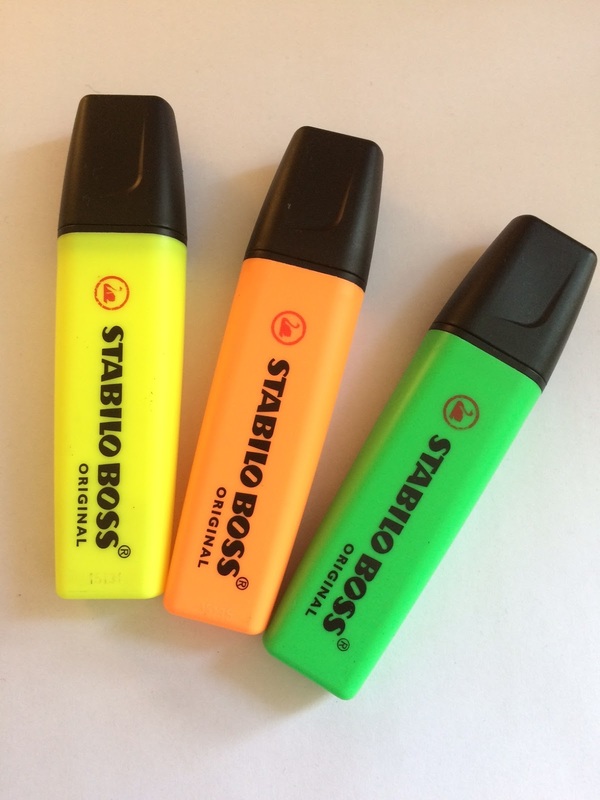 I colour co-ordinated my use of these, for example when I looked at a book, when writing out things that I found interesting, I would use green to highlight the title and the publication details, and then use an orange to highlight the separate chapter titles. I would then go back through my notes with the yellow to highlight what I thought was the most useful out of the bunch. This might sound a bit over the top, but it was so much easier when it came to writing out bibliographies for essays that I could easily find the information I needed, and to not have to search through all of my notes to find the right information. So there are some things that I have been loving for the past couple of months! Is there anything that you have been loving recently? Hello there! How are you? I've now had about two weeks since I finished my exams/essays, and so I've been up to a couple of things that I would like to share with you! Unintentionally, a lot of it is food related. After I had handed my last essay in, the sun was here for a while and was actually quite hot! Now I'm looking outside and it's cloudy, and I'm just sat here questioning what happened?! Okay so in my first year of Uni (I think it might have been Fresher's week!) I made a deal with Reesha, that if I made her cake, she would cook me curry. Now many cakes have been made for Reesha, and I was still waiting around for my curry. Finally after a year and a half, Reesha came round and made me curry. I would like to point out that actually the credit should go to Meera who was the chef behind this, but Reesha brought Krispy Kreme's with her, so I'll let her off on the deal. 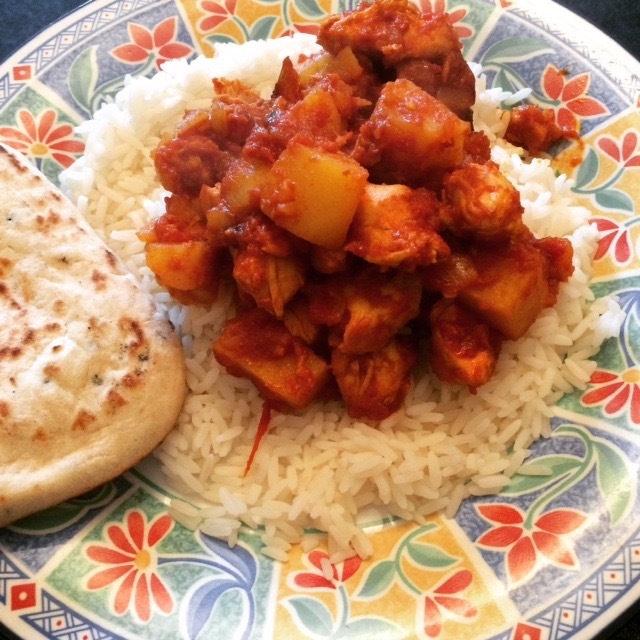 This was the first time that I have ever had a homemade curry cooked by an actual Indian, and it was amazing! I've still got some in my freezer that I look forward to eating soon! On the Krispy Kreme side of things I absolutely loved the toffee doughnut that I had, but the one pictured here had jam and cream in the middle! I know, another curry. As a celebration for Tom finishing his exams, we got take-away from our favourite Indian restaurant in Sheffield: The Village Balti House. 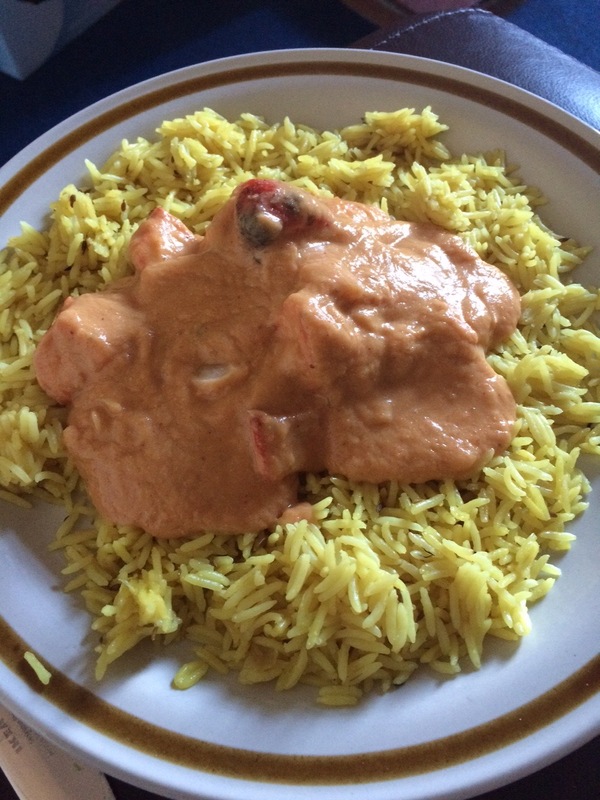 You will know that I am a big lover of the Korma, and never branch out to try anything new. Well, this time, I did. I do not really like hot spice, and so I went for one that said it was a 'mild' curry. This was the Chicken Pasanda. Now the Pasanda and the Korma are quite similar, but I think I have found my new favourite. Whatever the chicken had been marinated in was so nice, and so I will definitely be ordering this again! On the last Friday of term, the Student's Union put on the 'Summer Social'. This is an event where there are things on throughout the afternoon, and then there's a collective night out in the evening which sees all of the student club nights come together. 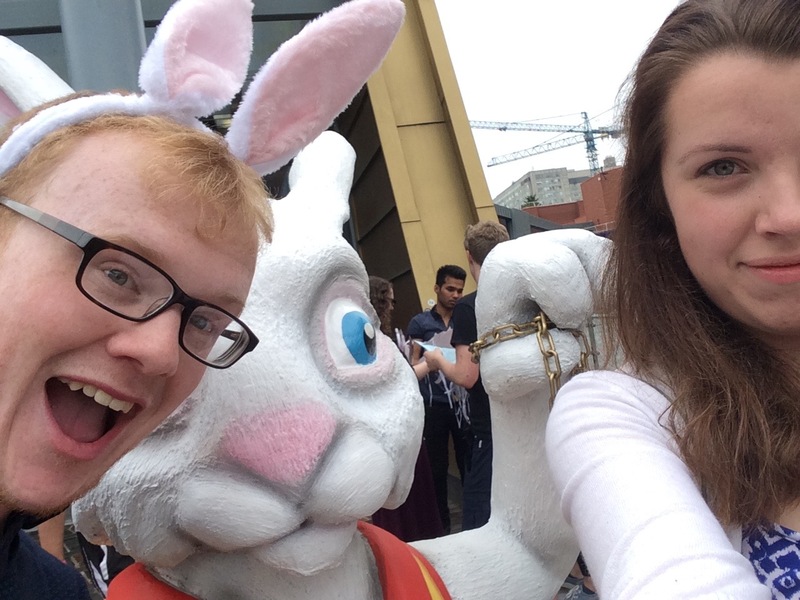 This years theme was 'Alice in Wonderland' which will explain the rabbit in the photo! One of the afternoon's events that I really enjoyed was the mini golf course that they had set up, which unfortunately I didn't win (I think I need to go back to Paradise Island to have a practice!). It was Rachel's birthday last week, and so that meant a trip to Gelato Original. You may remember that the last time I went I simply had a massive bowl full of Mango sorbet. 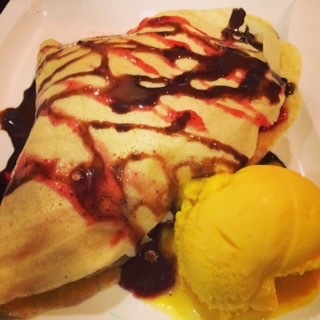 Now I stuck with the Mango sorbet again (it is amazing) but I decided to go for a crepe that was full of cream and strawberries with a chocolate and strawberry sauce. I do not need to tell you how good this was! I know it may look like I'm eating a lot of desserts (and this in part is true) but I went out for a thank you meal at Ego in the Winter Gardens this week. I had never been before and the food was really good- but I think it's more of a place you would take your parents too when they come to visit, rather than say going out with friends! 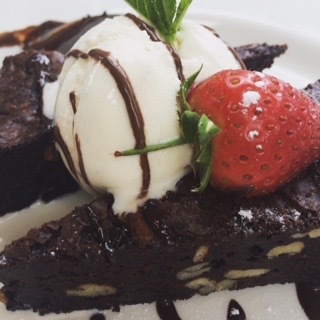 For my dessert I had a chocolate brownie, and it looked (and tasted) so good that I couldn't not take a photo! 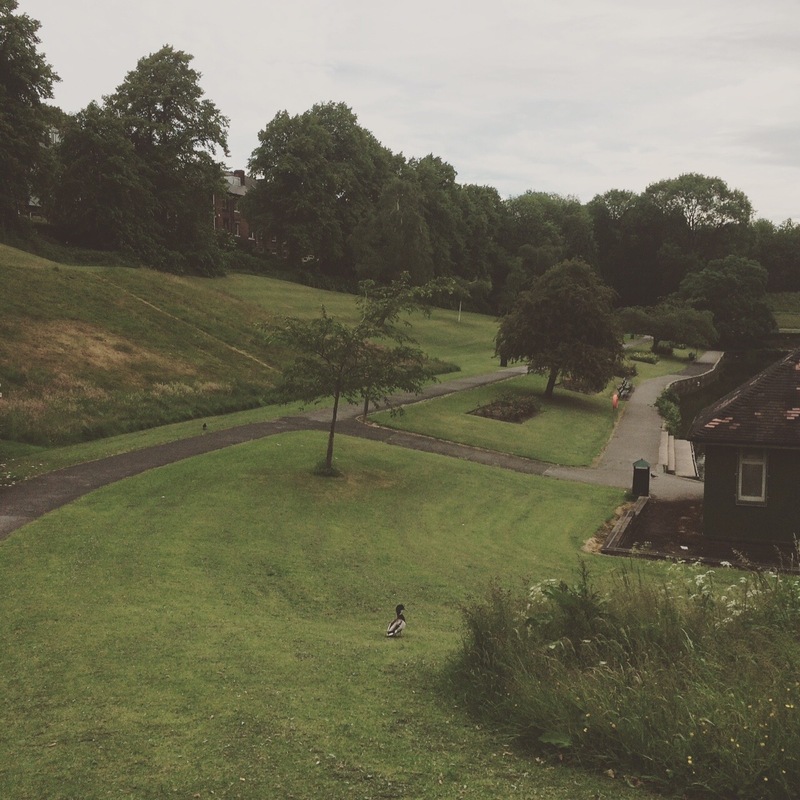 I worked on an Open Day this week, and on my way down as I was a bit early, I took a detour through Crookes Valley and Weston Park. You may have seen this on my instagram (@jesslouisekeen) but I love that even in the middle of a busy city, the sound of traffic can be replaced with the sound of birds singing. 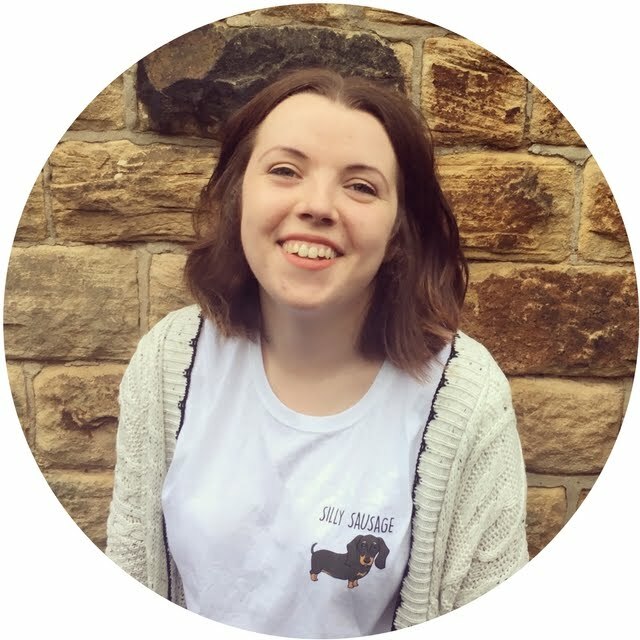 Being from the country, one of the reasons that I chose to come to Sheffield was the fact that it is so green, and there is so much countryside that surrounds it, that coming to the city didn't seem as daunting as it perhaps would have been in say London. Today Luke, Tom and I took a trip out to Meadowhall. I am now thoroughly exhausted (who knew shopping was so tiring?) but before the shopping began we went to 'Coal' for lunch. 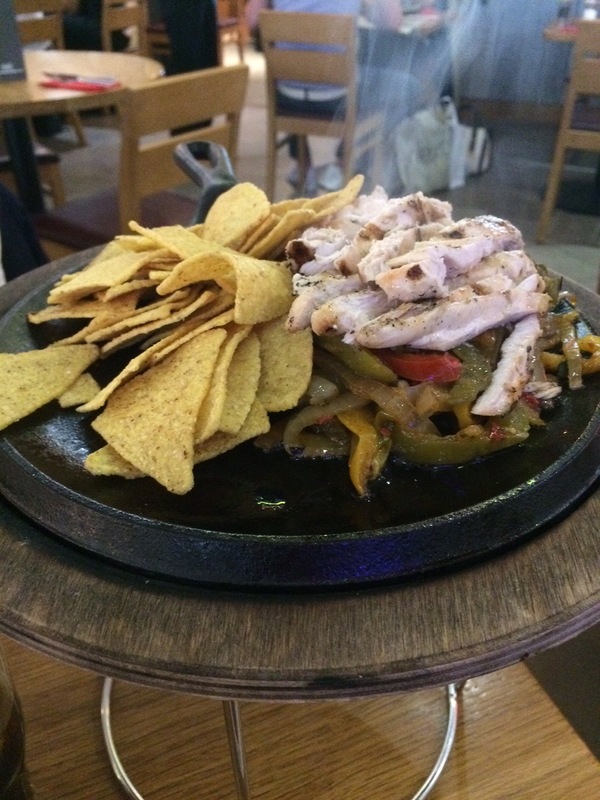 I had the cajun chicken fajitas, and you can see the steam in the photo! I always love having fajitas when I am out, and so I think I'll have to make myself some over the summer. So I have managed to keep myself busy for the last couple of weeks, and I have been enjoying having time again to do things! What have you been up to recently? Hello there! Today's post is going to a little bit different, as although I have talked about the 10 books that left a lasting impression on me, I have never dedicated a post to a single book. 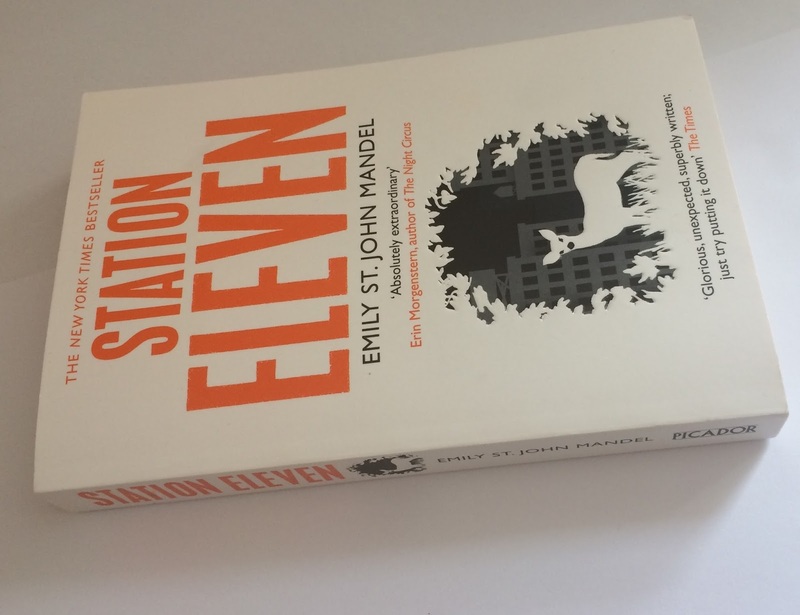 I thought that today I would share with you my thoughts on Station Eleven by Emily St. John Mandel, mainly because it's one of the first books that I have read in a long time that hasn't been to do with my degree. The plot isn't something that I would normally go for, but I've seen a few people mention that they really enjoyed it, and as it was in the '3 books for £10' deal on Amazon a while ago, I thought I'd order it and give it a go. Station Eleven explores a post-pandemic America, and this isn't normally a theme that I would automatically want to read about, but what enticed me was the fact that in this collapsed world there is a group called the 'Travelling Symphony' who move around America performing Shakespeare. Being a humanities student I have definitely come into contact with people who question what is the actual point of a humanities degree? Or one that I get ALL the time, is when someone hears you're doing a humanities degree and the immediate answer is 'oh so you're going to be a teacher then'. No, no I am not. Degrees such as chemistry or one of the many types of engineering seem to never be questioned, as the results are clear, but with things like literature, a lot of people see my degree as a walk in the park. In my first year, for one of my modules I had to write an essay on how valuable the module had been to my degree, which meant I looked into the value of Arts and Humanities as a whole. 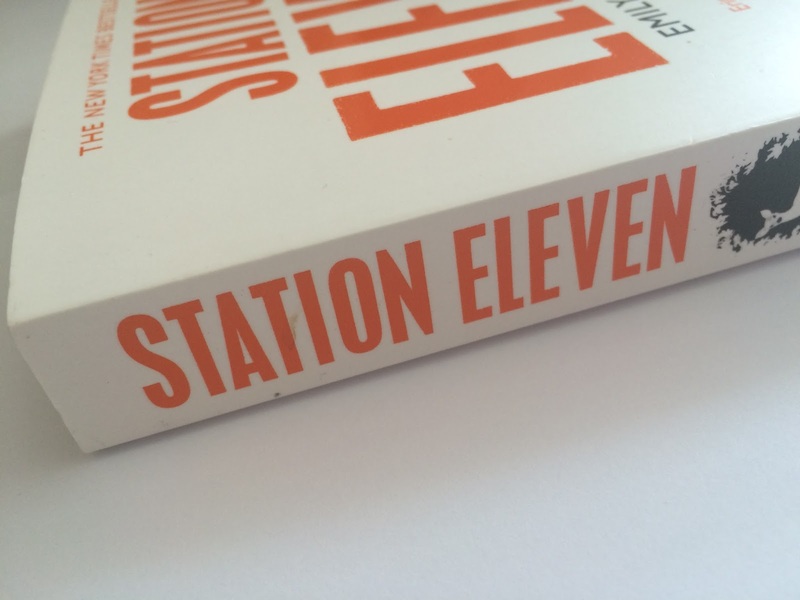 I'm sorry this has gone a bit off topic, but essentially what drew me to Station Eleven was the value it placed on the collective nature of Literature, and within the novel specifically Shakespeare. A question raised on the blurb is 'If civilisation was lost, what would you preserve? And how far would you go to protect it?'. It may not seem like it, but throughout history a lot has been taken and recorded within literature, and the world would be a very different place without it. Interwoven with different stories, the novel's focus is upon the character of Arthur Leander, but rather than being from his viewpoint, the novel explores various people's connections to him. Through being narrated, the flitting between the past and the present isn't confusing, and I really enjoyed reading different people's stories of their experience of the pandemic, and how their experiences linked in with people's experiences in the post-pandemic world. All of the characters were at a different part of their life when the pandemic broke out, and for those who were older question whether they should teach their children of what things were like then compared to their now, or whether it's better for them not knowing. It's a very thought provoking book, and I would love to hear what others have thought of it and what they have taken away from it. Have you read a really good book recently that you would recommend? Now I don't know about you, but I love making 'wish lists' that I can come back to at a later date to remind myself of some gems that I have found, and *possibly* make a purchase! So as it is now summer *touchwood it hangs around* I thought I'd make a 'summer wishlist' of things I really like the look of! This Denim Skirt has been doing the rounds in the blogging/youtubing world recently. And I can see why. This particular one is from Topshop but I have also seen one that I really like on ASOS! This is the point where my mum will be saying 'All those times when I asked you if you wanted my denim skirt and you said no so I gave it away, and now you want one'! (By the way mum if you do still actually have it, I would love it now). I think this skirt would look lovely both with a vest top tucked in, or a more flowy (I'm sorry if I'm making up words) one hanging over it. Not only would this be great for summer, but I can see it being worn throughout the year! Now I have a pair of sunglasses from Primark that are perfectly fine, but the hinges are becoming a bit loose so I think that I should buy some new ones before my current ones give up the ghost! I normally go for ones that look like Ray Bans (oh if only I could afford some proper ones) but I really like these ones from Topshop as they've got the straight top, but it's in the shape of a cat eye. I also absolutely love the tortoise shell print! Now I know what you're thinking, I do English Literature, don't I read enough already? Now, yes you are right. But as it is now the summer I really want to read books that aren't intended for my course! One that I really want to read is Gone Girl by Gillian Flynn. I know a lot of people have been raving about it, so I think I'm a bit late to hop on the bandwagon, and I know there was a film adaptation of it out recently, but I've managed to avoid any spoilers so I can read it afresh! Nothing says summer to me like a brightly coloured nail varnish. I have my eye on this one in particular as I love red nail varnish, but this one looks a bit brighter and so shouts 'summer' rather than 'christmas'. Plus I always think bright or pastel nail varnishes can make you look like you have a tan (when you clearly don't). I can't actually put into words how much I love the look of this radio. I have been lusting after a Roberts Revival Radio for absolutely ages, but I can't justify spending that much money on a radio. My room at University has a lot of beach themed objects/styling to it, as I absolutely love the beach! 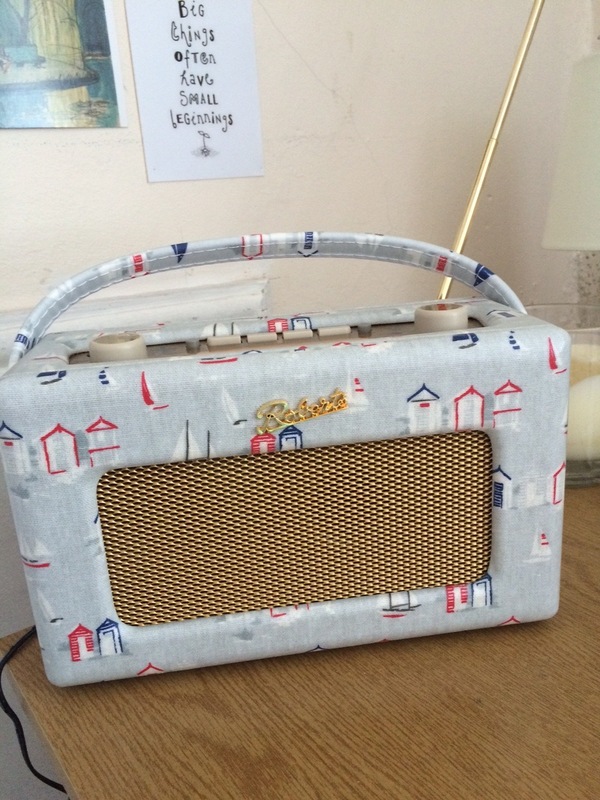 When I saw that there is a Revival radio, with a beach hut print, I knew that this had to go on my summer wishlist! Now for something that is within my budget, and that I absolutely love is the Soap & Glory Smoothie Star Buttercream. I bought a pot last year, and made everyone smell it- it's just so good! If I could eat this I totally would. I'm not normally one for sweet smelling body products (I hate the smell of the strawberry ones!) but this just smells amazing. With pistachio, almonds and sweet vanilla, this smells like a dessert. Body moisturising wise it's also really good, and leaves your skin super soft so it's a win win both on use and smell! 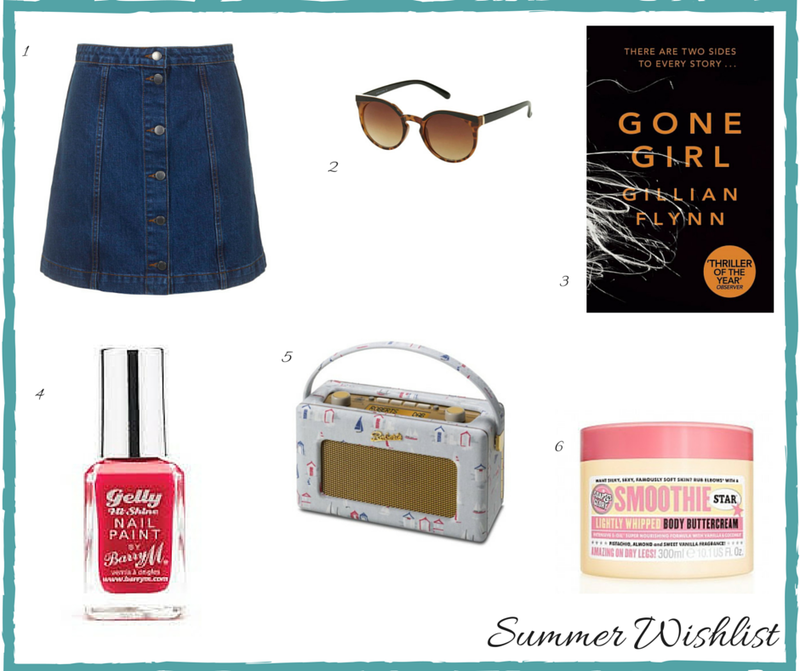 Have you got a summer wishlist? What's on yours? Hello there! For Christmas (I know it was months ago!) 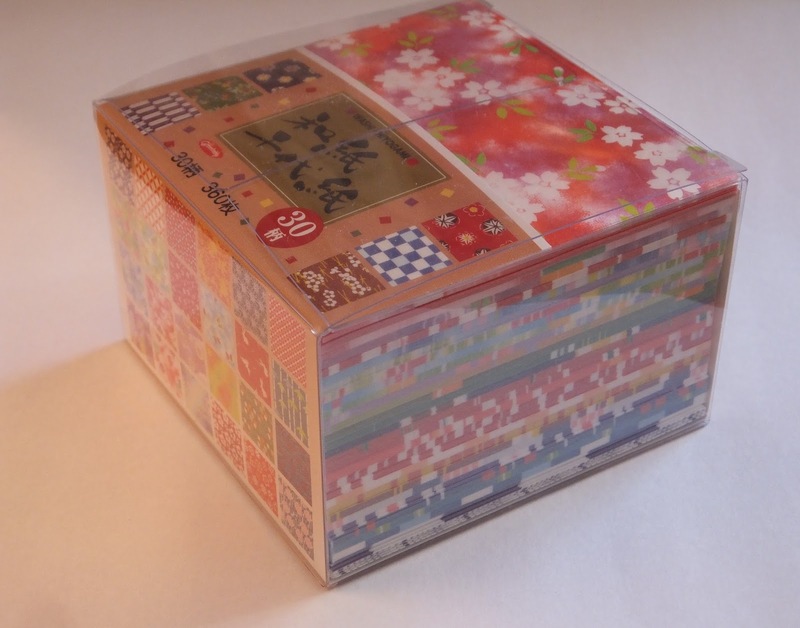 my parents bought me some authentic Japanese washi paper to use for origami, as they know that I'm really into my crafts. 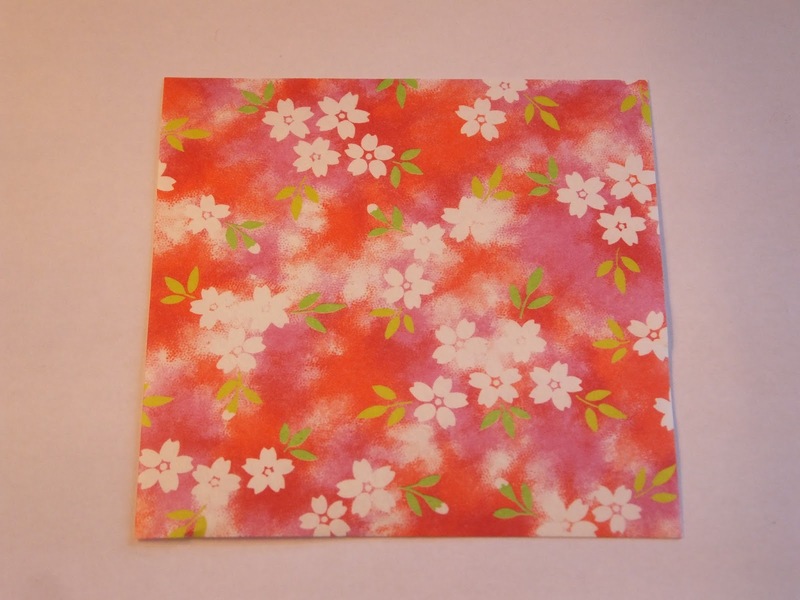 The sheets are 3x3 inches, and for this decoration I think you would be better of using smaller sheets like these, rather than making a square out of a sheet of A4. 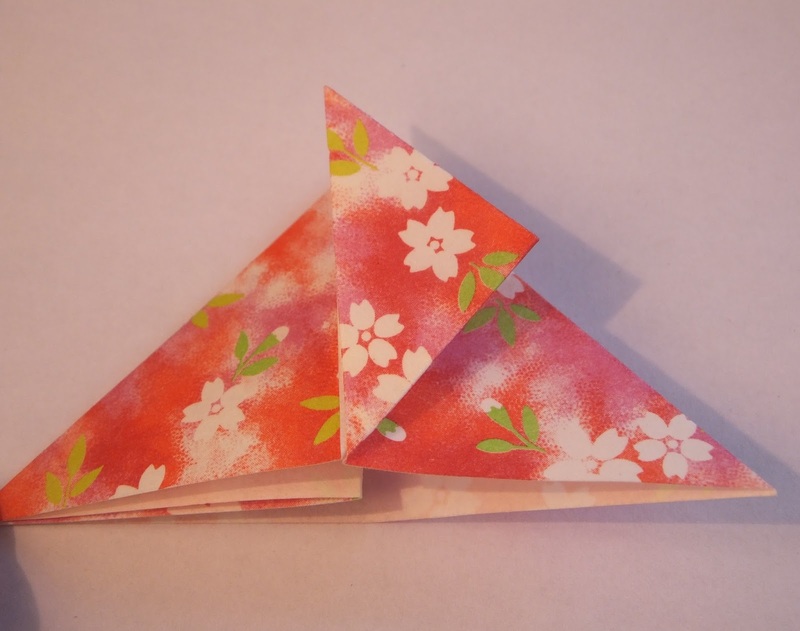 Any type of paper is fine- but ones with patterns and prints on are extra pretty! 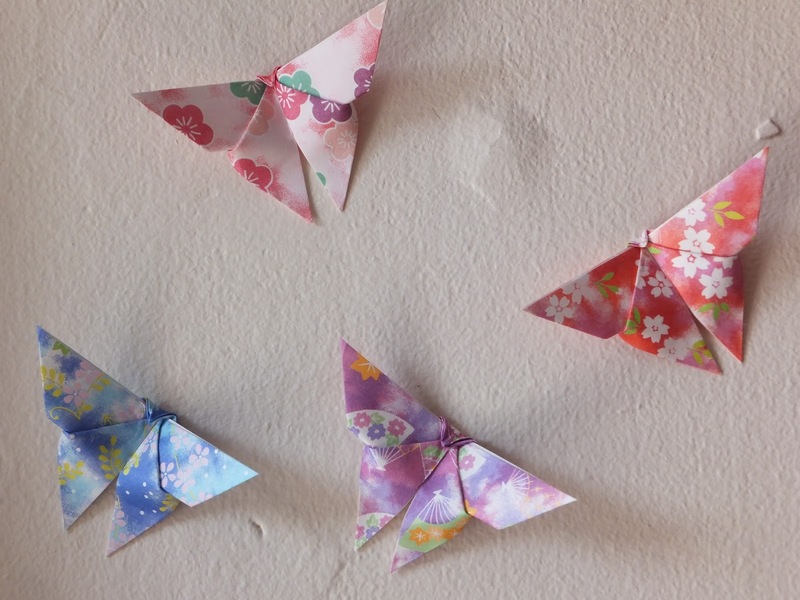 Today I will be showing you how to create some simple, yet really pretty and effective butterfly decorations. I always love adding something new to my room, and this is so inexpensive and fun to do! So to start you will only need one square sheet of paper. 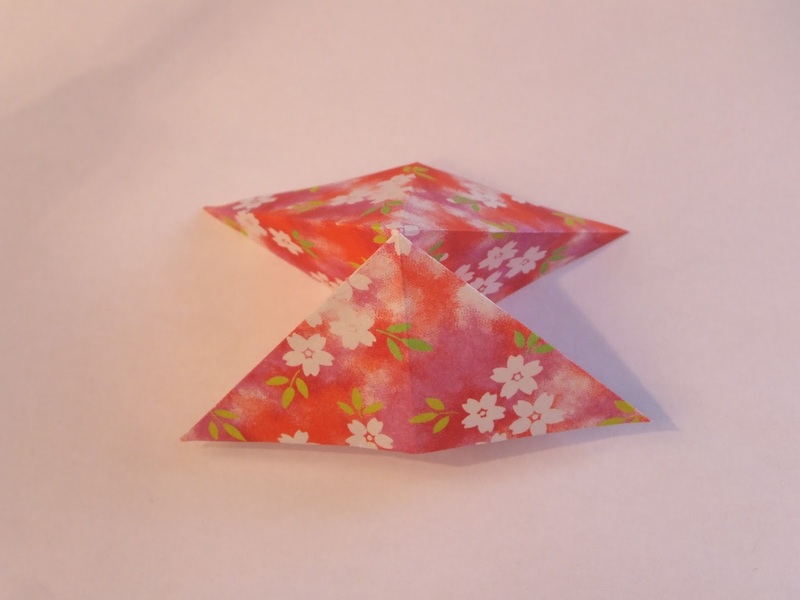 Fold this in half both directly and diagonally both ways. 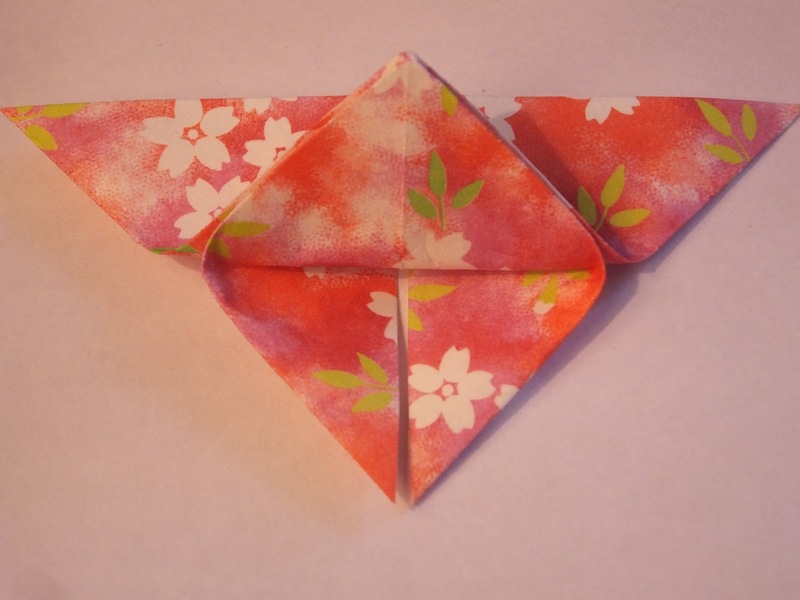 Once the folds have been created, push two side folds inwards, to create this shape. 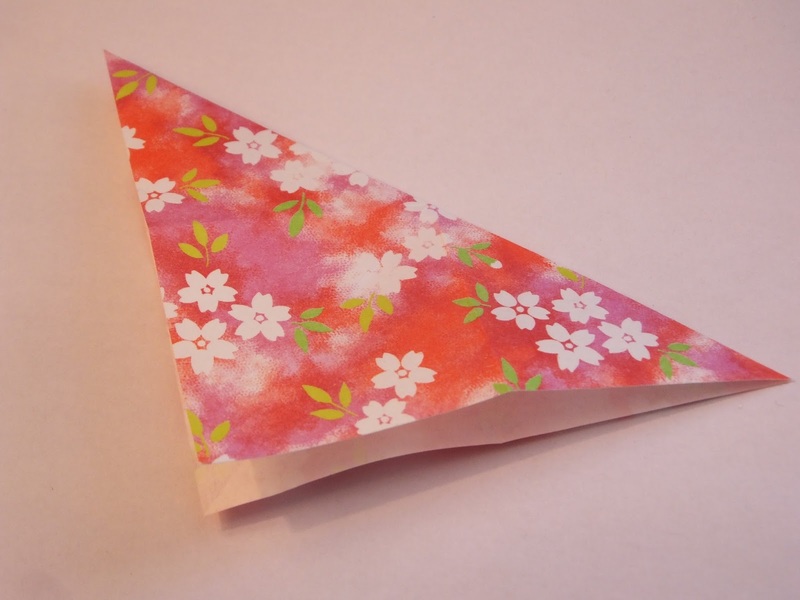 Once this shape has been created you need to fold the bottom corners to the top of the triangle- but make sure you only do this for one layer! 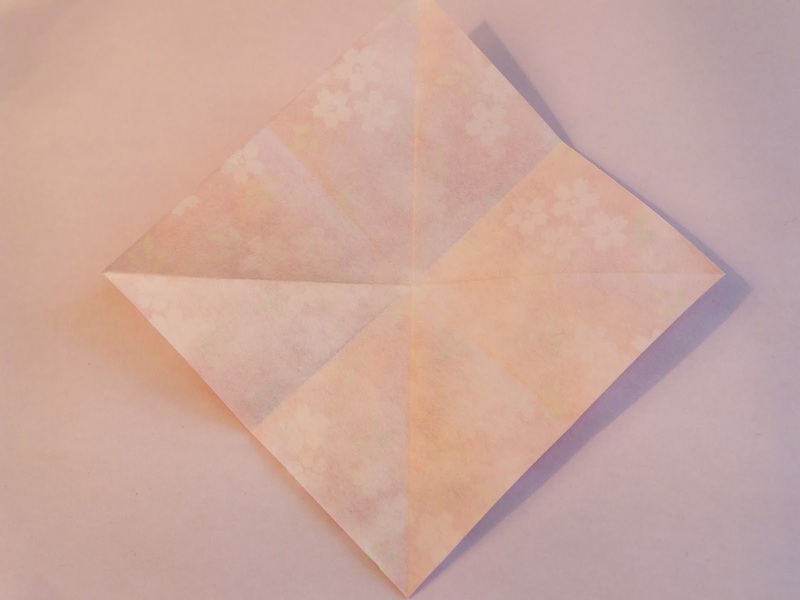 Once you have completed both folds, flip the paper over and have the point facing you. Take the bottom of the triangle, and place it over the top line (as shown in image). 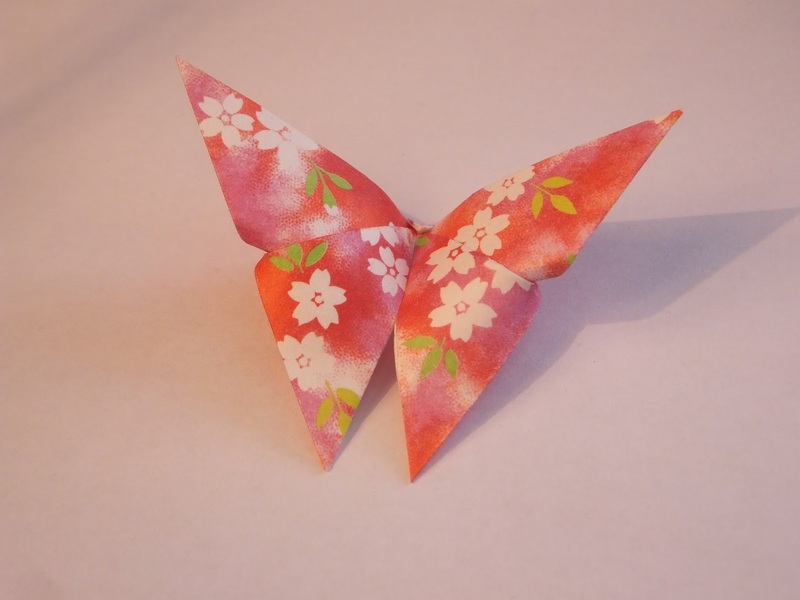 Be sure to not fold the sides down, as the bend is what will create the butterfly shape! 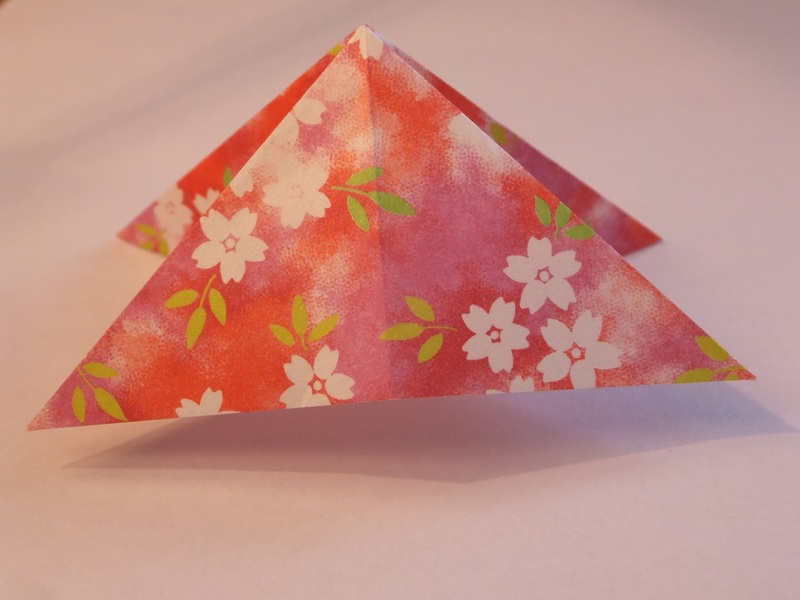 Fold over the point of the triangle, so that the top is a straight line. Flip this over, and squeeze the middle together and you have a butterfly! 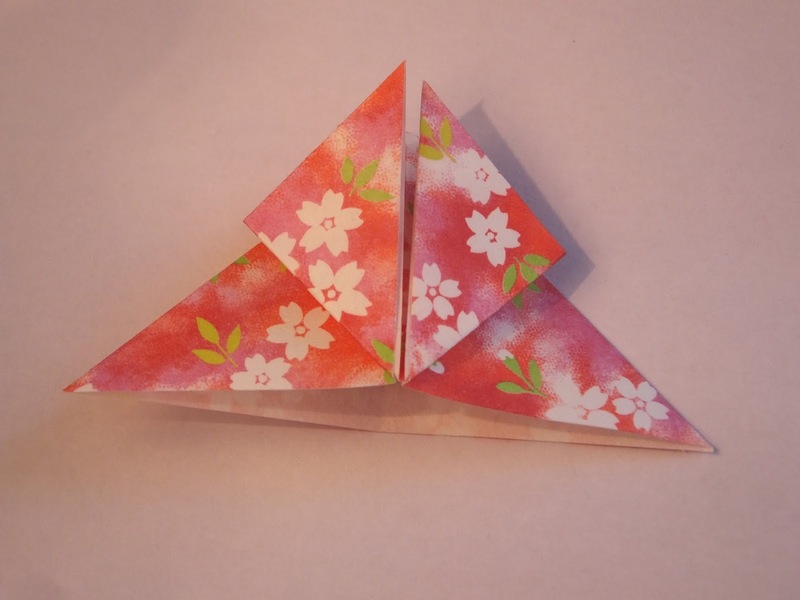 I think that these are really easy to make, yet look really complicated. Here you can see why I think patterned paper is better- all the different colours come together to create depth to the shape. 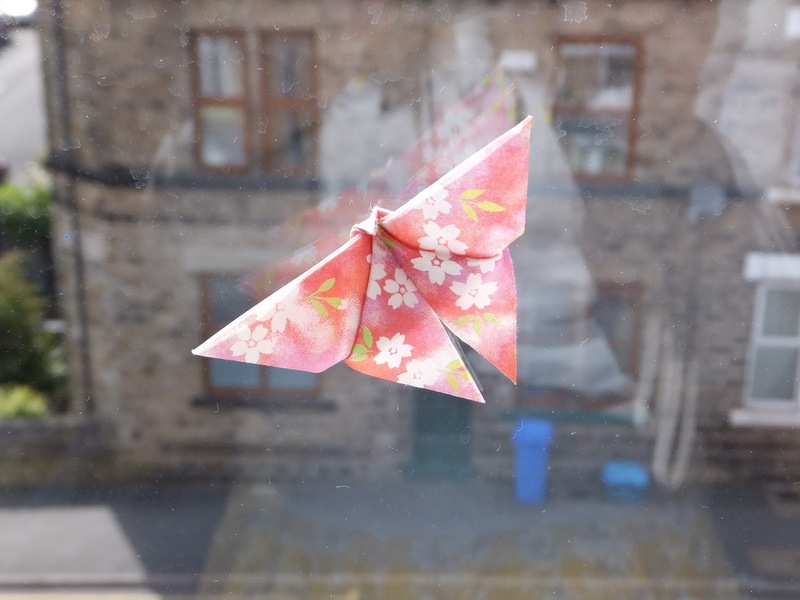 You can put these up on a window, or on a wall, or anywhere really! It really is up to you. 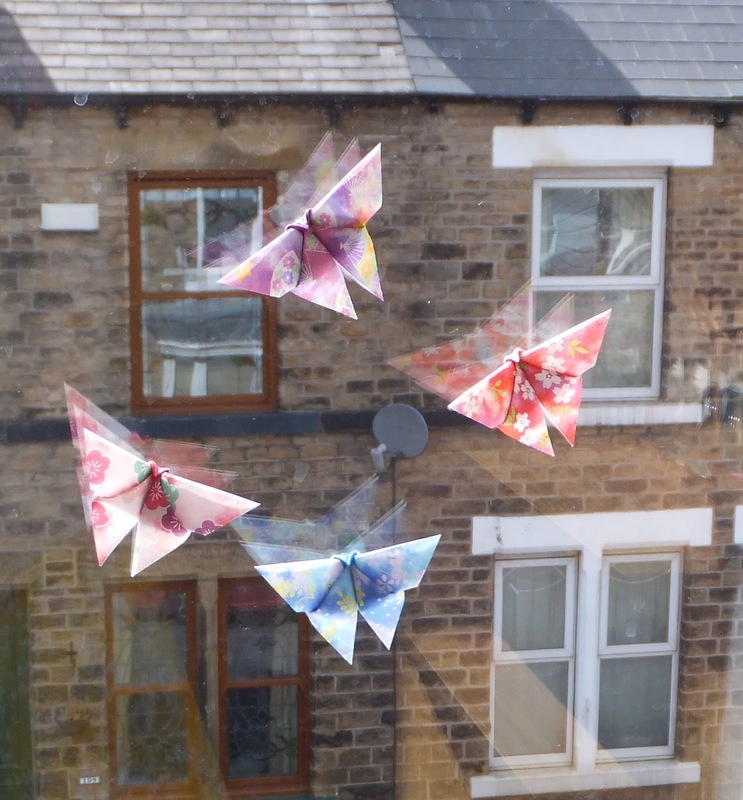 All I used to put them up was a little bit of blue tac, and they look so pretty, especially in the sunshine. I made a few more so that I could put them up in a group, and I think they look really effective all together, with all the different colours and patterns of the paper. As I'm not moving house this year, I'm looking for new ways to decorate my walls, and change what I have had on them this year. If you have a go at making these, as always tweet me @jesslouisekeen! and if you have any fab DIY decoration ideas; please share them in the comments! Hello there! Wow it feels like it's been ages since I've been able to say that! How have the past two weeks been for you? As I'm back this means that I have officially finished 2nd year. All of my essays are handed in, my exam has been taken, and I'm thoroughly enjoying having spare time again. This spare time means that I can get back into my blog again, hooray! 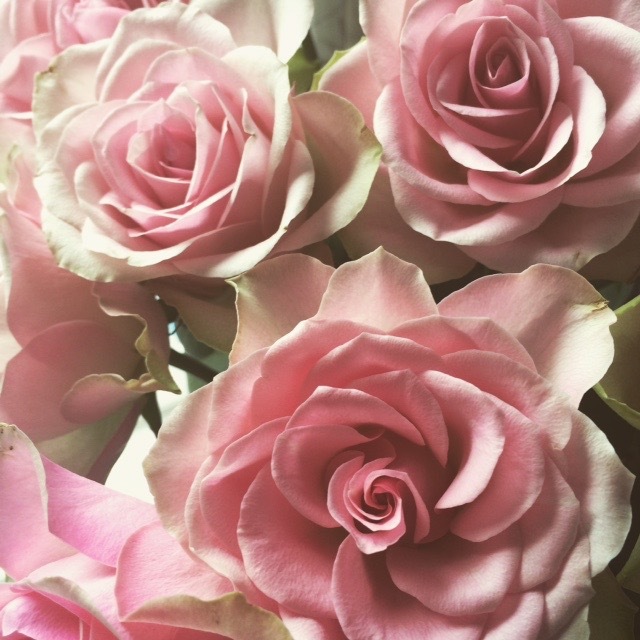 Now if you've read my blog for a long time you know that I have been having two posts a week; one on a Saturday that was my #52weeksofhappiness, and another post on a Tuesday. I'm going to change the dynamic to a Sunday and Wednesday to see how that goes, but I may always revert back to the old schedule! I haven't got any plans to have a dedicated tag for the Sunday posts; I do still want to do a 'what I've been up to this week' type post, but it will not always necessarily be this as some weeks aren't as busy as others! So, what have I been up to since my last blogpost? Well aside from essay writing and revision, there have been a few fun moments! I went to go and see 'Far From the Madding Crowd' at the cinema with Tom, Ross and Polly. If you didn't know already this is a film based upon the Thomas Hardy novel, and he is one of my favourite authors. I haven't actually read Far From the Madding Crowd, and so I enjoyed watching the story before reading it! I don't know if it's still out at cinemas, but if it is I highly recommend a watch! It stars Carey Mulligan who I absolutely love, and it's such a well-shot artistic film, yet the attention isn't drawn away from the plot, rather it enhances it. To relieve stress over the exam period, I bought some colouring books online, and I found that taking 20 minute breaks to just sit and colour was really relaxing and I was able to switch off from working for that time. 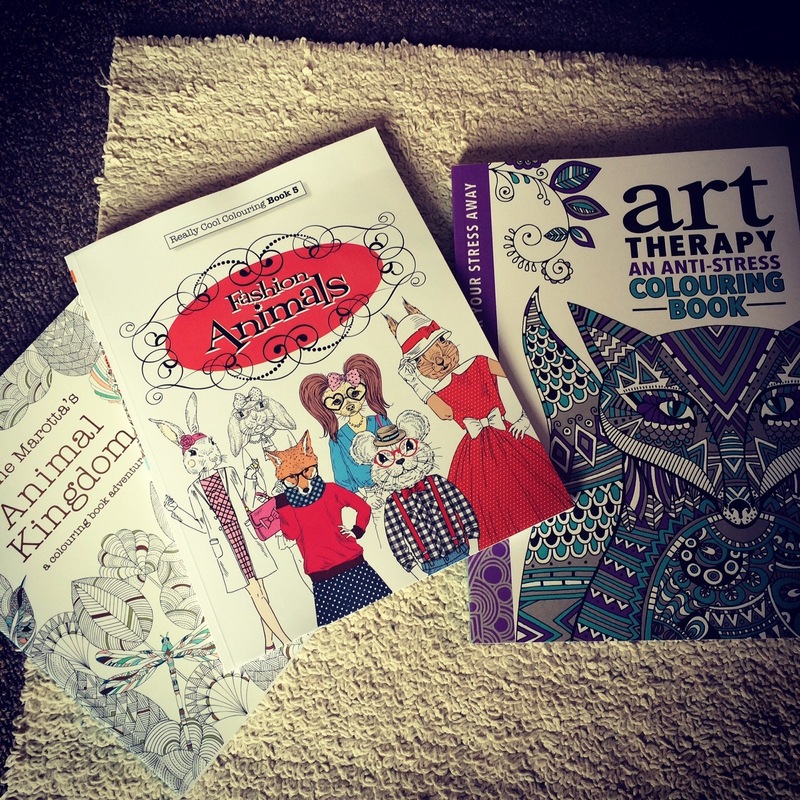 Even though my exams are over, I look forward to still using these, as the designs are so beautiful and I really enjoy taking the time out of my day to just sit and colour them in! 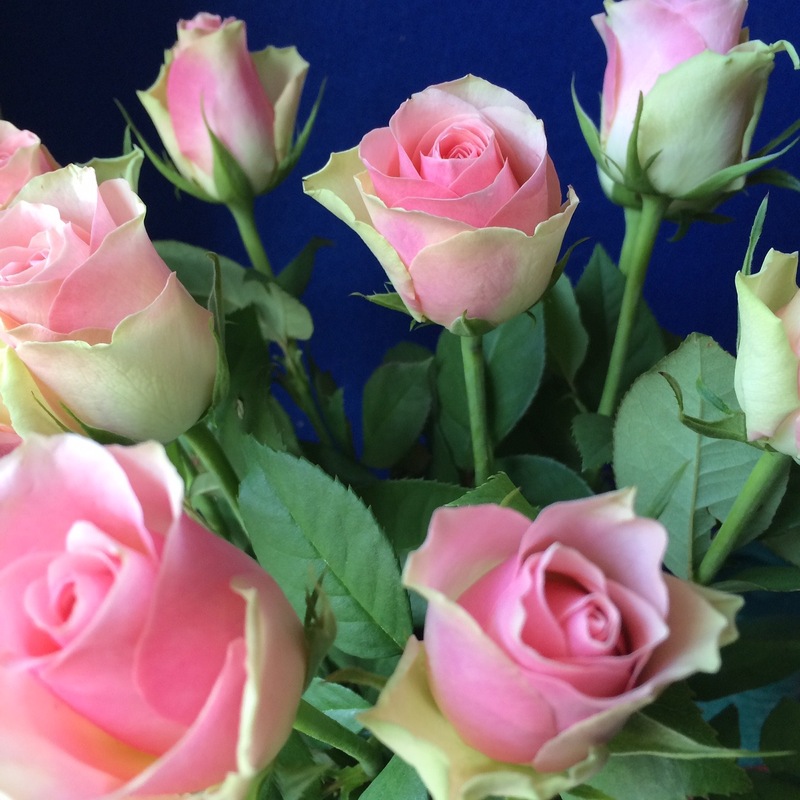 Tom bought me some lovely roses and they lasted for absolutely ages! They really brought a smile to my face, and made me look forward to the summer months. No I haven't been out and bought a new dog (I really miss Tilly!). 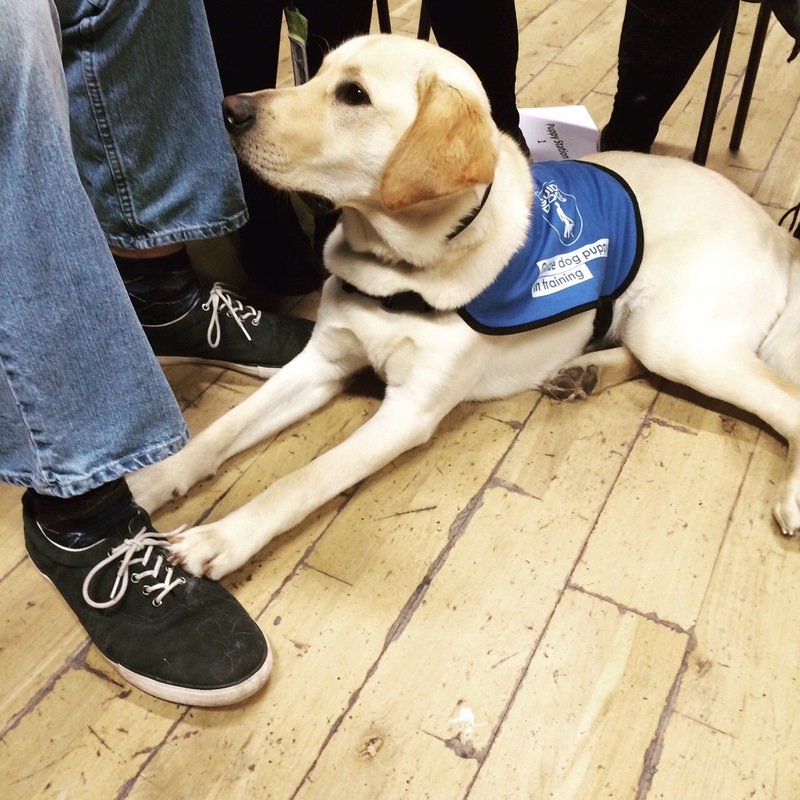 The Union's Guide Dog society had a puppy day where you could go along and interact with some guide dogs and their owners/trainers. We went in and were separated into groups of 7 or 8, where we could talk to the owner/trainer and find out about the work that they do, and obviously say hello to the dog! This was such a nice break, as I'm really missing Tilly cuddles and I can't wait until I am reunited with her at the end of this month. 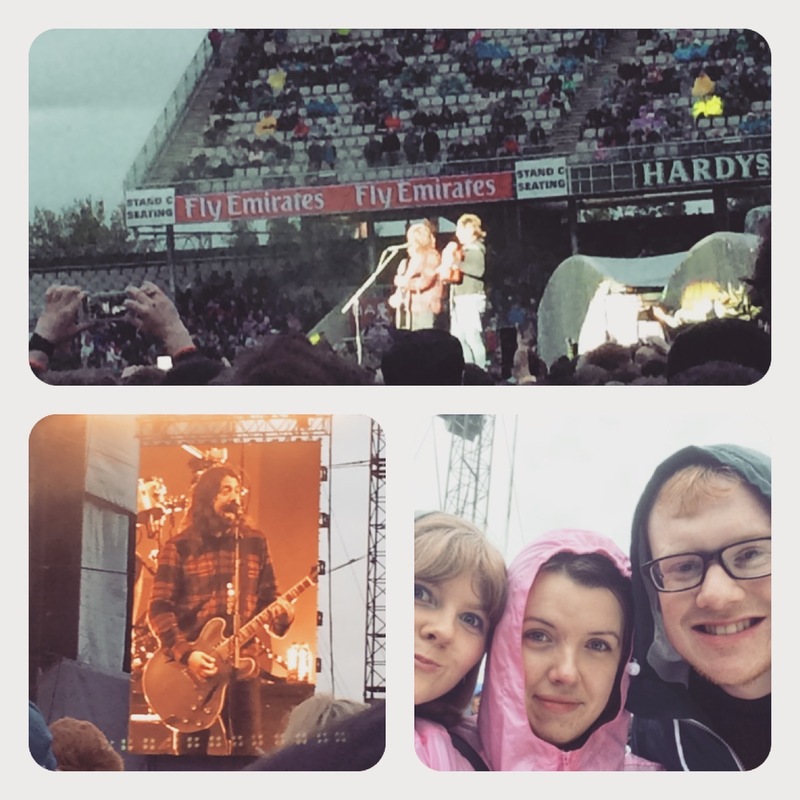 One of my favourite things to happen over the past two weeks, was going to Manchester and seeing the Foo Fighters live! Unfortunately it was the typical British weather and so was raining before they came on, but while they were performing it managed to hold off. It was so good to finally see them live- they were one of the bands that I always said I'd like to see live, and so I can now tick it off my list! At the time I didn't really realise how close we actually were to the stage, and we didn't know how many people were there, but after seeing an aerial photo of the stadium we had such a good spot! There were 50,000 people in total, which is one of the largest crowds I have been in for a concert (I'm used to going to the UEA in Norwich!). After our exam a group of my coursemates and I went to Bloo88 for some food! I'd never been here before, but the pizzas were really nice, and this mocktail that I had was so refreshing! 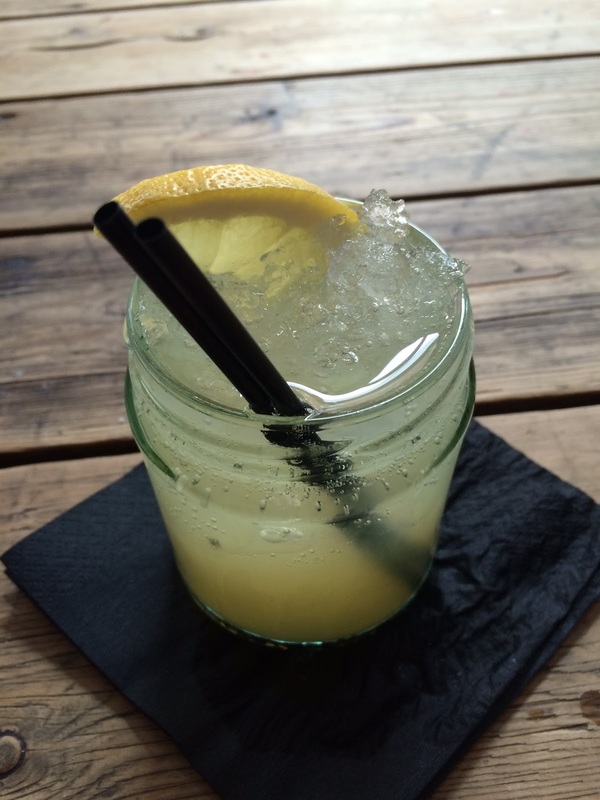 It's called the 'Elderflower Sparkle' and is elderflower syrup with a bit of lemon and lime mixed with some soda. I don't think Tom has been here, so I'll have to take him there one day over the summer! As we're both staying in Sheffield for most of the summer, I keep meaning to make a to do list of things that we want to do- this will be on it! As Tom and I have been going through our alphabet dates, the one that I was really looking forward to was date 'P'. Now, for date 'N' we had a 'Nostalgic evening', where we tipped out the memories from a memory jar that I made Tom for our anniversary, and had a read through these and took a trip down memory lane! Date 'O' was my turn, and I really had no clue about what to do. In the end we watched a David Attenborough documentary entitled 'Ocean Deep' which was so interesting. I really do love watching nature documentaries. Now for 'P'. 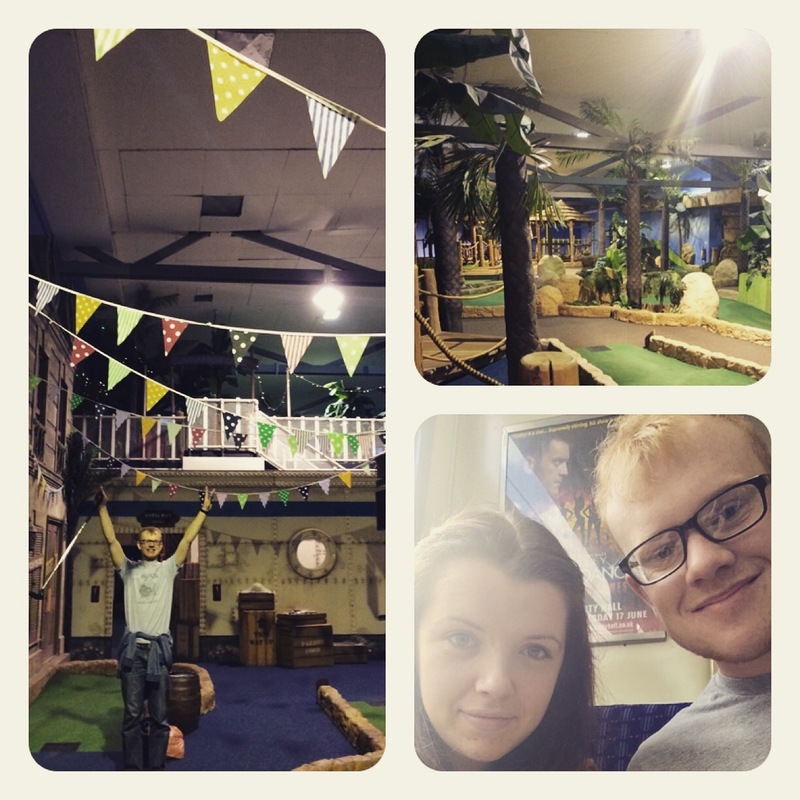 Tom's American flatmate from last year used to call mini golf 'putt-putt', and so this is what we went for! (The mini golf place in Sheffield is also called 'Paradise Island' so there was more than enough reason to do this for P). The courses are situated at the centertainment complex near Meadowhall, and it was so much fun. As it was a Wednesday afternoon it was really quiet, which meant we could take as long as we liked going round the courses. We opted to do both courses (why would you not?) and there was a jungle themed one upstairs, and a nautical one downstairs. This was such a fun date and wasn't expensive at all as we went in the off-peak time, and I definitely want to return again and have a re-match! (Unfortunately I lost- some holes were easy to get a good par on, but others had a lot of bumps in and so it was really hard!). So aside from revising and essay-writing, I managed to do quite a few things! What have you been up to recently? Anything exciting?